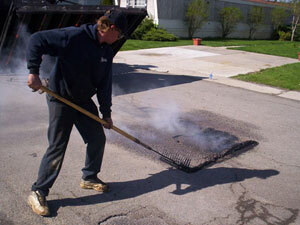 Why choose Infrared Asphalt Patching Repair? 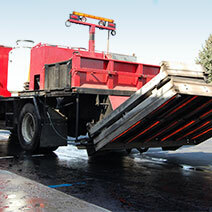 This technology allows Asphalt Management to recycle the existing asphalt paving through the use of Infrared Rays. With this type of repair, the asphalt is heated from the inside out allowing us to heat the asphalt to plant temperature around 325 degrees without burning the asphalt. When the patch is completed you have a repair that is level with original grade. 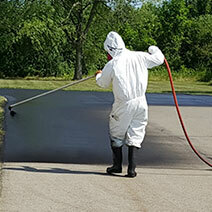 How long do Infrared Pavement Restoration Repairs take? 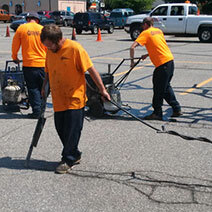 The time it takes to make asphalt repairs is a fraction of the time compared to conventional methods. A typical 13’ X6’ area (78 sq ft.) takes about 20 minutes to complete as compared to the conventional method which can take over an hour. 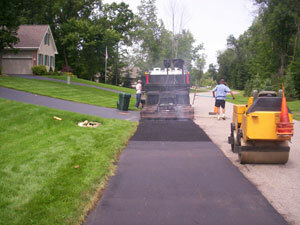 An asphalt driveway can be re-opened immediately to traffic after the asphalt repair. 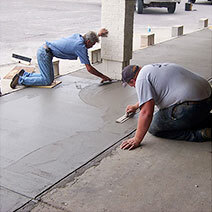 Three men and about twenty minutes are all that is needed for typical repairs that are fast and simple. 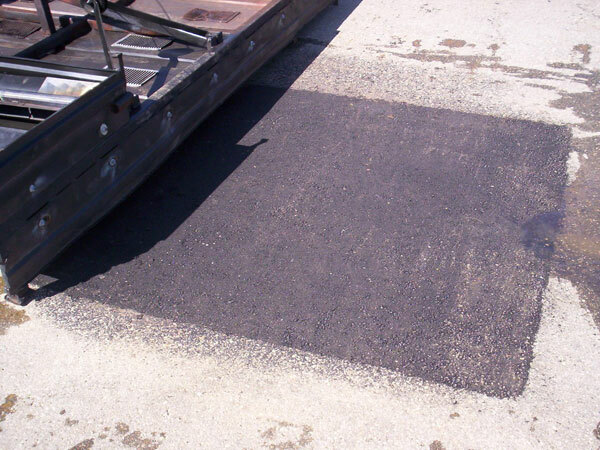 Is an Infrared Asphalt Patching Repair a high-quality solution? Yes, unless there are sub-base problems. 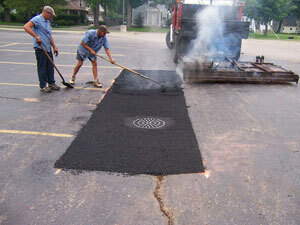 Infrared asphalt patching repair allows the patch to be fused to the existing pavement. 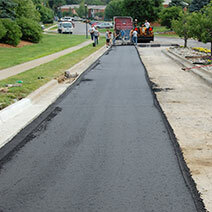 It creates one continuous asphalt patch that is flush to the existing surface and thus eliminating tripping hazards. 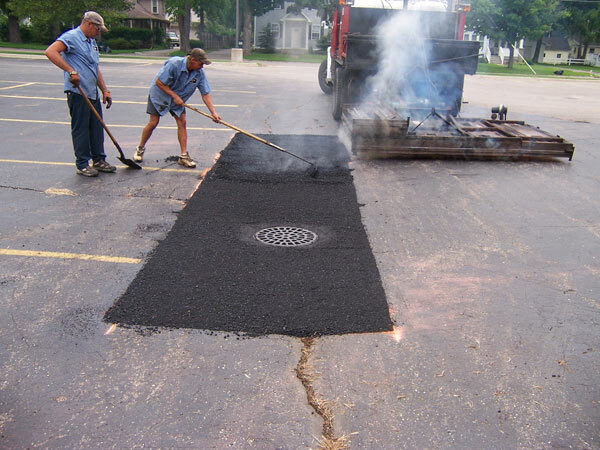 Thermal bonding of the asphalt patch repair with the surrounding pavement makes the repair an integral piece of the pavement. Cold seams allow water to re-enter and cause joint failure, but this is not the case with thermal bonding. No, but compared to any other type of surface patch (this does not include full depth removal and replace) the infrared process will give the best-finished look. The real benefit is that the infrared repair process will save you money. 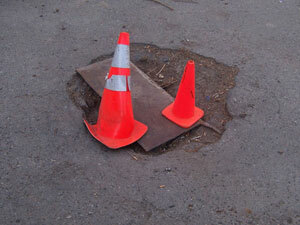 Is Infrared Pothole Repair Expensive? No. Compared to traditional full-depth patching or mill and pave repairs, infrared asphalt repair cost is low. 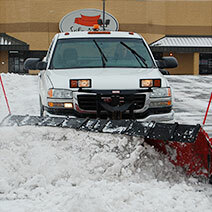 Depending on the details of the job, you can save up to 50% of the cost. Using less machinery, materials, manpower and time results in these savings—there is no need to cut out, remove, replace, transport and dispose of large quantities of asphalt. The end result is a seamless restoration that is thermally bonded to the surrounding pavement. 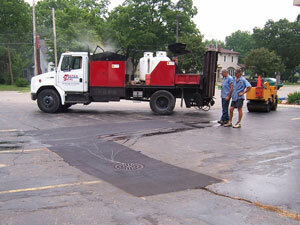 Infrared asphalt patching uses the existing asphalt which leaves little or no wasted material. This results in less handling and lower disposal costs. we also offer volume-based discounts. 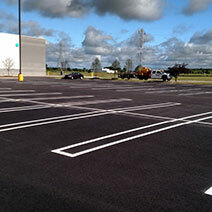 Is Infrared Asphalt Patching only good for small areas? No. Using multiple heats in succession, infrared can be used very economically on patches, trenches, large potholes, and alligator areas. Can Infrared be used to correct a sub-base problem? No. Infrared asphalt patching corrects the asphalt course of the roadway only. 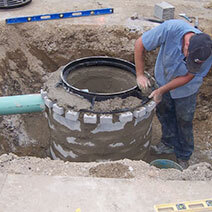 This problem can only be corrected by excavating and making repairs to the sub-base. 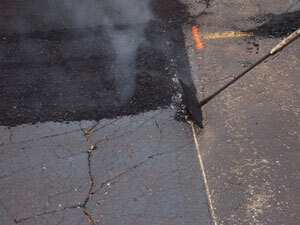 Once the sub-base problem has been corrected, infrared restoration is still the most effective repair to the asphalt.